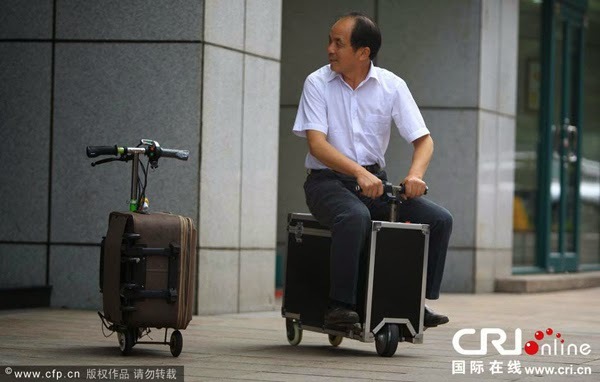 China Radio International reports, a Chinese farmer from Hunan province, has spent the last ten years of his life developing an electric suitcase that also serves as a motorized personal transportation vehicle. 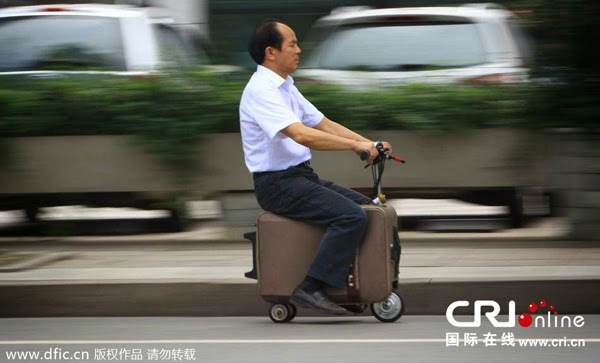 The suitcase is capable of carrying two passengers and it can go up to 20km/h. 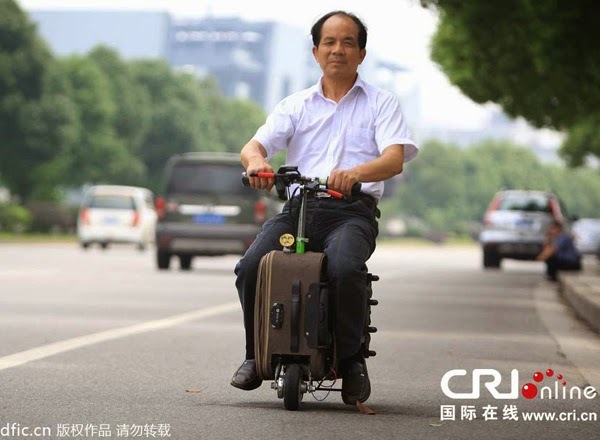 Farmer has only studied primary school, but focused so much on equipping high-tech stuff to his invention. 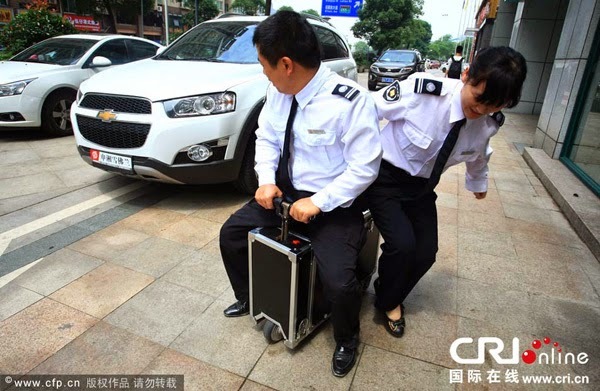 The rotary switch is the handle, simply sit on the trunk and power it just like an ordinary electric motorcycle. 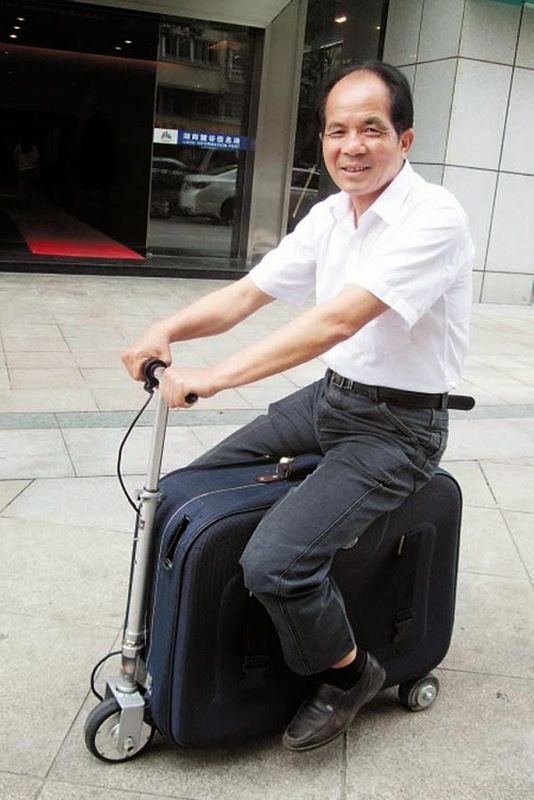 This light weight scooter is equipped with a rechargeable lithium battery. It is also features wheel hub motors, navigation system, GPS, satellite positioning, security and many other functions..